Well, not by every means possible. The United States and European Union have both banned weapons sales to Myanmar. Only one Western country still arms the regime carrying out this mass slaughter: Israel. Prime Minister Benjamin Netanyahu’s government has even gone to court to ensure its right to continue doing so. Yet America’s most prominent Jewish organizations, despite comparing Myanmar’s crimes to the Holocaust, won’t publicly pressure Israel to stop. To his credit, Weintraub himself signed a rabbis’ letter issued by Truah: The Rabbinic Call for Human Rights “urging the Israeli government to stop weapons sales to Burma (Myanmar) and military training services there.” But the most powerful organizations in his alliance have been painfully silent. Israeli Weapons Are Being Used To Ethnically Cleanse The Rohingya. This Must Stop. Two other members of JACOB, the American Jewish Committee’s Blaustein Center for Human Rights and the Jewish Council for Public Affairs, did sign a Human Rights Watch letter asking “all states to immediately suspend military assistance and cooperation with Myanmar.” But despite their usual focus on the Jewish state, neither organization has said anything about Israel in particular. The Anti-Defamation League in early October sent a letter to Secretary of State Rex Tillerson urging the U.S. to take “financial and other punitive measures against the Burmese security forces responsible for the violence.” That’s great. But the United States isn’t selling Myanmar weapons; Israel is. Its leaders have yet to receive an open letter from the ADL. When it comes to Israel, however, these same organizations abandon human rights in favor of whataboutism. They argue that the real moral problem is not Israeli abuses but disproportionate criticism it attracts. On Myanmar, these two impulses collide. American Jewish groups thunder about the ethnic cleansing there — until doing so might require criticizing Israel. Then the thunder stops. They demand that the world remember the injunction: Never Again. But they won’t remind the government whose citizens stand in silence for two minutes on Yom Hashoah. Last month, Ronald Lauder, president of the World Jewish Congress, after condemning the “ethnic cleansing, and genocide, signs of which are already strongly taking shape in Myanmar,” insisted, “The Jewish people, who are far too often targeted with violence and bigotry, must not remain silent in the face of such extremism.” The Jewish people must not remain silent, that is, unless the ethnic cleansing and genocide are being abetted by the Jewish state. There’s nothing on the World Jewish Congress’s website about Israeli arms sales either. In his speech last month to the United Nations, Netanyahu said Israel was fulfilling the Prophet Isaiah’s promise to make the Jewish people “a light unto the nations, bringing salvation to the ends of the earth.” There are places where Israel is indeed doing that. But in Myanmar, it is bringing not salvation but destruction. And the organized American Jewish community, through its silence, is complicit. If you say you care about the agony of the Rohingya, just not enough to risk a public confrontation with the Israeli government, then perhaps you don’t really care that much at all. 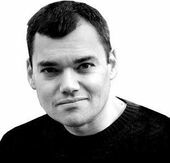 Peter Beinart is a Forward contributing editor and senior columnist. This story "Jews Fail To Condemn Israel’s Arms To Support Myanmar" was written by Peter Beinart.